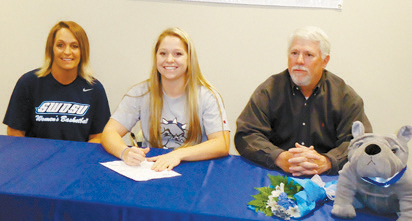 Senior Taber Beer signs to play basketball with SWOSU next fall. Pictured with her are her parents–Lady Warrior Head Coach Leah Beer and her father, Todd Beer. Congratulations Taber!